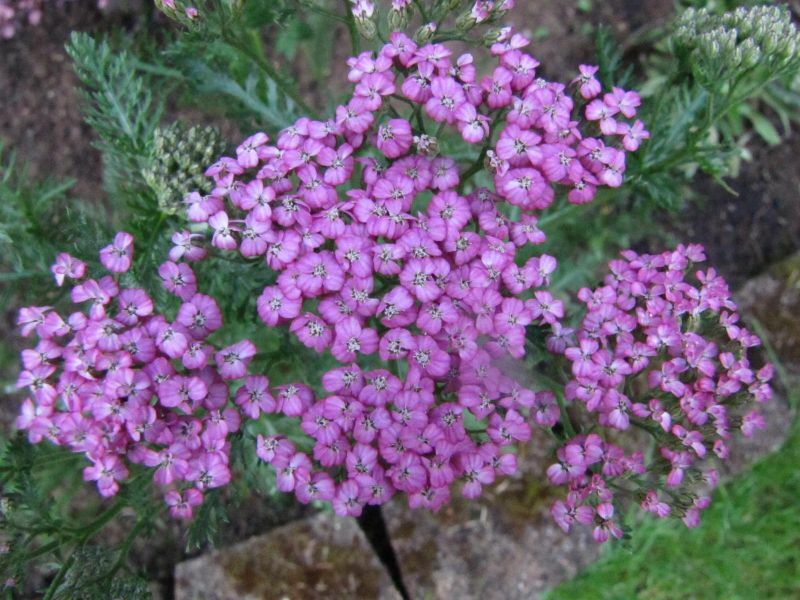 Yarrow, a small herb with a big list of attributes. 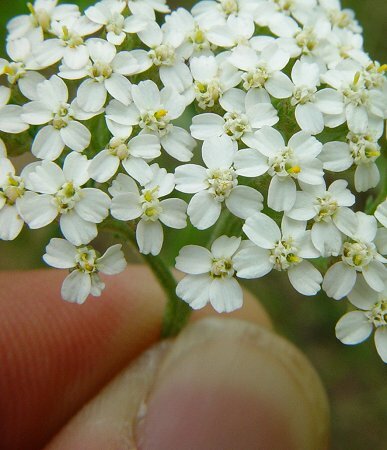 Yarrow flowers are small, but extremely attractive to beneficial insects. Yarrow is a small herbaceous plant that is currently used decoratively for its pretty flowers; however, in traditional times Yarrow was used as a food source and a medicinal plant (hence the name “soldier’s woundwort”). It also happens to be drought resistant, a great groundcover tolerant of foot traffic, an attractor of beneficial insects, and much, much more. 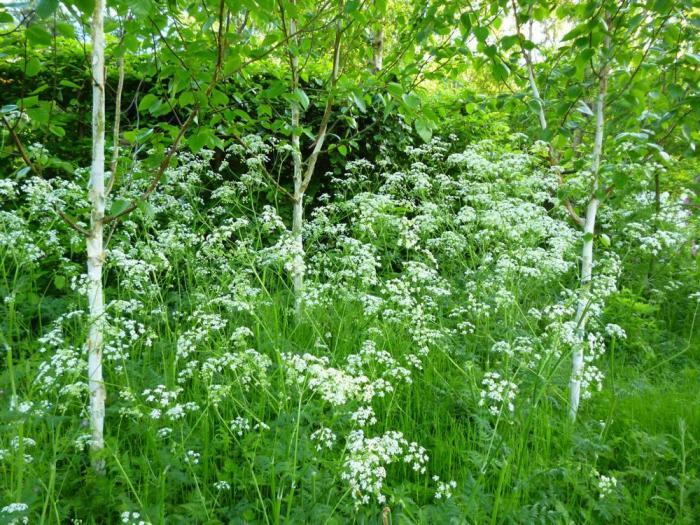 One of the most versatile plants in the food and Forest Garden. 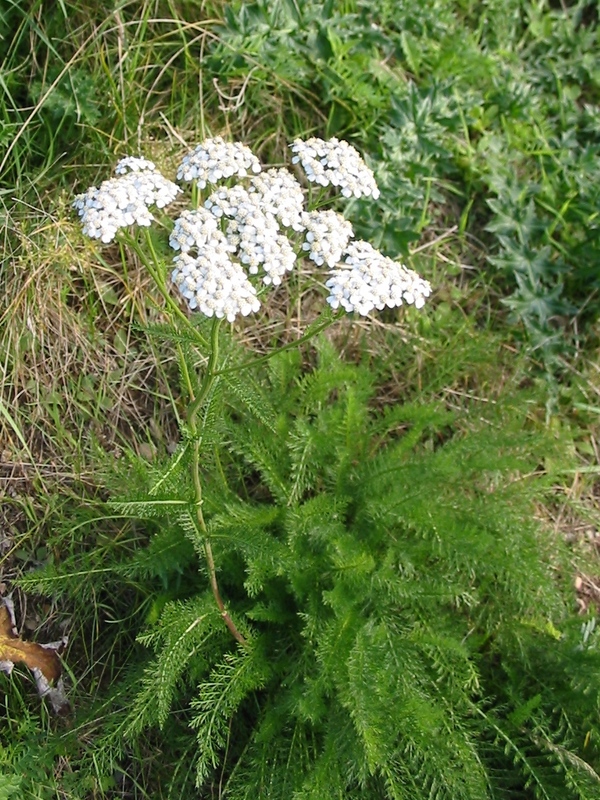 There are about 85 species in the Achillea genus found mostly in Europe, Asia, and North America. Yarrow species have been used for food and medicine for thousands of years, and it has only been recently that the traditional uses of Yarrow have been all but forgotten. Most recent cultivars have all be developed for flowering characteristics. Fortunately, this is a very resiliant plant, and it can be found almost everywhere. The genus (Achillea) is named after the Greek mythological character Achilles whose soldiers used yarrow to staunch their wounds. 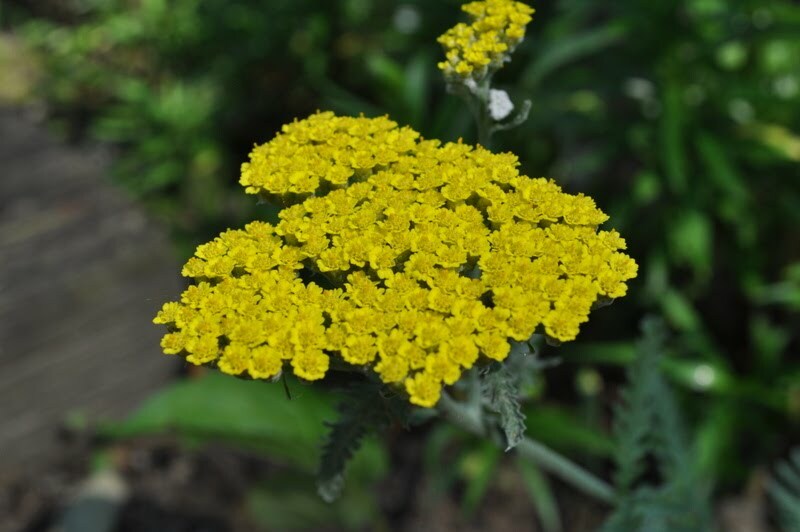 Other names for Common Yarrow was herbal militaris, staunchweed, soldier’s woundwort, knight’s milefoil, carpenter’s weed, nosebleed weed, and many more… a plant used to stop bleeding at home, in the shop, or on the battlefield. Dried, ground leaves from Sneezeweed/White Tansy Yarrow (Achillea ptarmica) is used as a sneezing powder. Some species are considered poisonous to sheep, cattle, and horses. 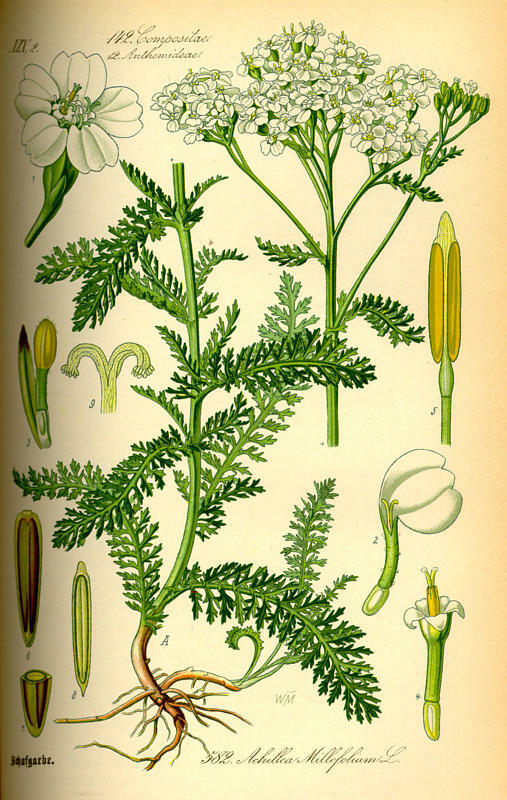 Common Yarrow was part of the classic Gruit recipe for preserving ales before the widespread use of hops. 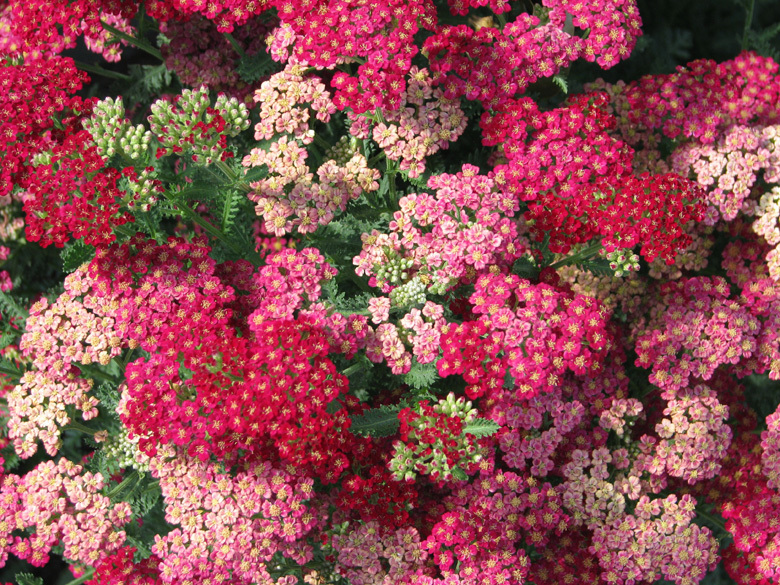 Modern Yarrow flowers come in more colors than just white. Harvesting: Anytime there are leaves on the plant. Seed can be havested directly from the plant. Storage: Leaves should be used immediately or within a few days. Keep in a cool location, as with other salad greens. A large planting (wild in this case) of Yarrow is stunning. 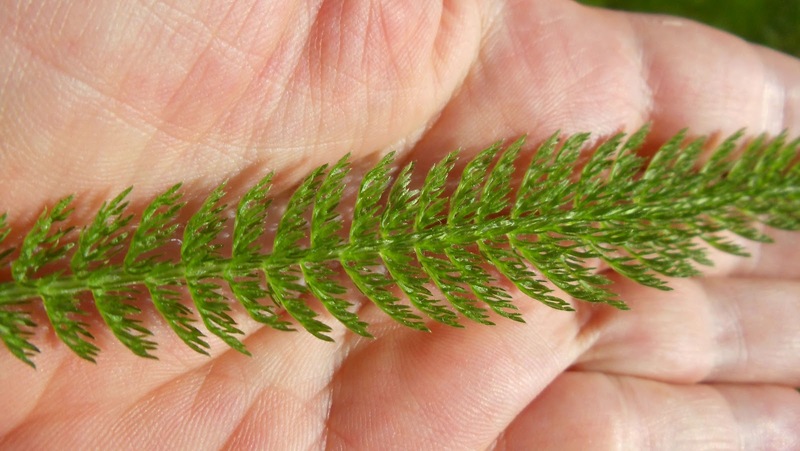 Yarrow leaf has long been compared to a feather. Spreads easily. Keep this in mind in choosing a location. Can often be planted in a grass lawn (on purpose!) as it can be cut low, tolerates foot traffic, and stays green later than most grasses. 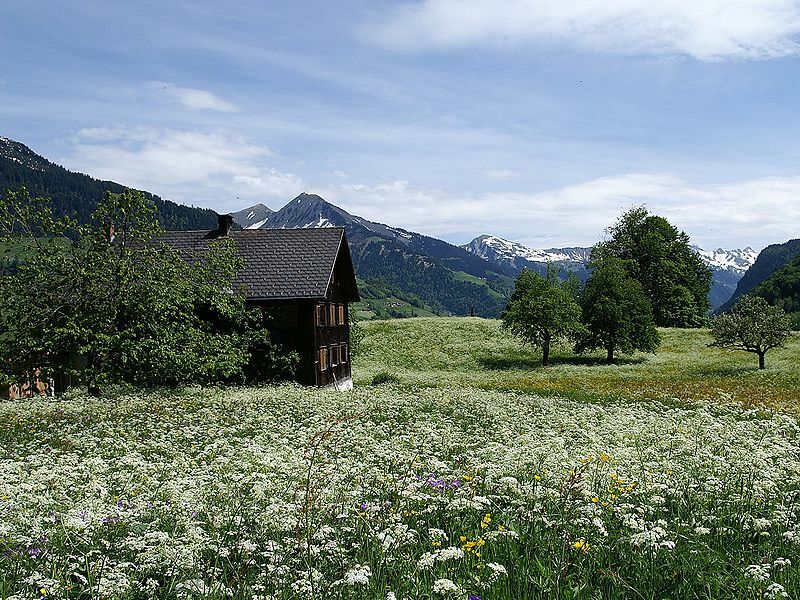 Easily divided in Spring or Autumn. Will also easily root from cuttings 4+ inches (10 cm). Seeds planted at almost anytime other than cold Winters, germinate in 4-13 weeks. Minimal. May need to work to keep in bounds. Spreading habit – the roots are quite vigorous and can send up/out shoots extensively. Be sure to plant in an area where this is tolerable. Poisonous (?) – Some people will develop an allergic rash, develop photosensitivity (skin becomes sensitive to sunlight), or can develop gastrointestinal discomfort when eating this plant or even coming into contact with it. I recommend sampling small amounts of this plant to determine personal tolerance first; if you can handle it, then enjoy!